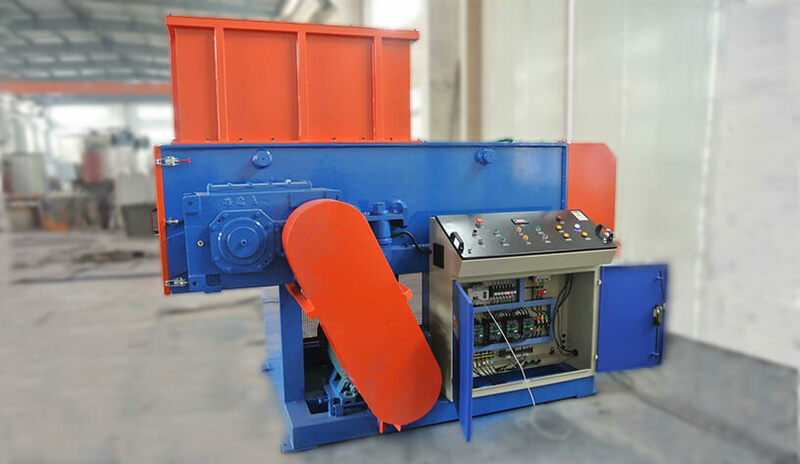 Single shaft shredder uses the interaction of movable cutter heads and fixed knives to tear, cut and extrude the material into small size. It can be available for shredding a wide range of materials including plastic, wood, rubber, and paper etc. The cutter head is consists of basic shaft and pieces of quadrangle cutter. There are four edges which are easy to change. ‘V’ shaped rotary cutters are fixed on single shaft. The fixed cutter is mounted at an angle in adjacent to rotary cutter to achieve better cutting. The material is grabbed between ‘V’ shaped rotary cutters and fixed cutter shreds repeatedly. During the grinding process, the evenly cutting, saving of energy and reducing of noise are ensured by the installation of ”V” shape rotor knives. Also the knives are very easy to install and remove. ◆ Wooden pallet, wood waste etc. ▼ The blade base and blade on the rotary roller can be disassembly .it is easy to clean and maintenance. ▼ This shredder machine has the flexibility of customization for your exacting needs like kinds of specialized cutters and feeding hoppers (custom hoppers and stands made to fit your application). 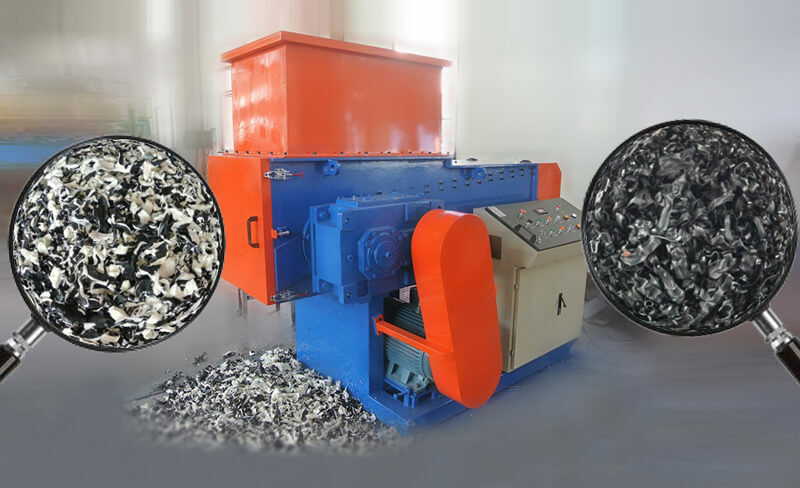 ▼ With the highest level of customization and control over the shredding process, this provides a new edge for processing different types of wastes. ▼ The main axis is drive by gearbox, its running very stably, low noise and strong power. ▼ All the machinery and electrical devices are protected in accordance with the European CE standard. 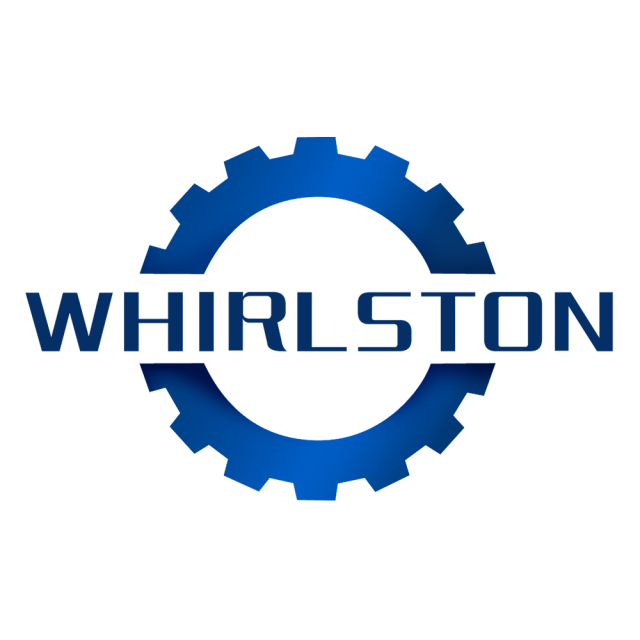 ▼ Specifically designed rotor to be extremely wear resistant. ▼ Designed with a high-speed rotary cutter along with a hydraulic-driven movable press-plate of cutter, this industrial shredder makes the shredding job done in a super efficient and effective way. PS: Throughput Range 300-800KG/H depending on material; Powerful 18.5-30KW motors are available.